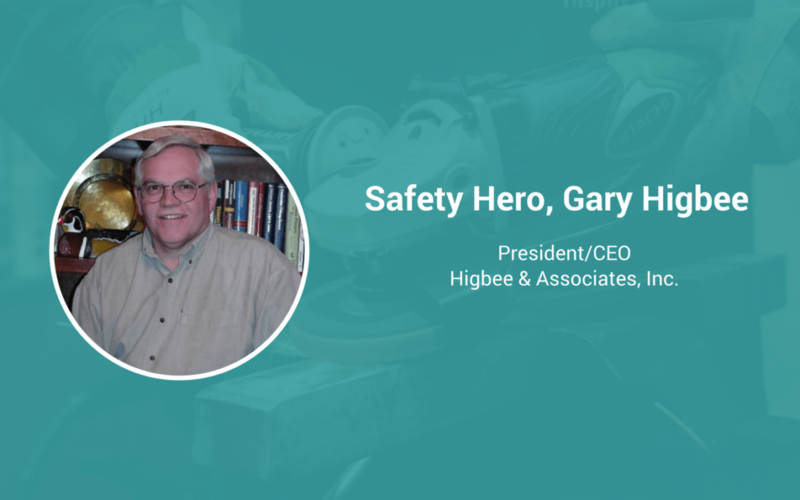 Gary Higbee is a safety veteran with years of experience in the automotive and manufacturing spaces. Beginning his career with John Deere, Higbee spent 32 years working his way through the ranks, accumulating experience in everything from floor management to safety. After his tenure at John Deere, Higbee went to Maytag where he assumed responsibility for production, and safety. Now, Gary uses his accumulated experience to educate and protect the world at work through his firm Higbee and Associates. A respected presenter, Gary travels the world presenting 30-40 times each year! His story shows exactly why safety heroes are so important to the working world. I never planned to be a safety professional. But one year I was managing an operation and my personal safety performance was awful. My boss pulled me aside and told me that my poor safety habits were going to get me fired, or worse, hurt someone else. I then had a close friend die in a manufacturing accident and it completely changed my perspective. I got certified, began taking courses, and started taking safety seriously. Now, I’m passionate about my work – work that keeps other people healthy and safe. What could be better than that? Passion and energy – Knowledge and skills are important but having passion and energy in what you do is critical for success. That passion and energy transfers to others and enables collaboration between teams. If you’re passionate, others will be too. I’ll never forget when I heard about my close friend dying at his job. It just shocked me to my core. It changed how I approached safety immediately – from being an annoyance to something critical to my personal and professional health. It’s hard. It takes work and dedication, and it’s incredibly hard to manage and improve. Many organizational outcomes have clear indicators of success. For example, organizational performance or quality is directly influenced by a number quantifiable factor. Safety, however, is very difficult to quantify. We work to analyze and mitigate risk, which is invisible, making it very difficult to identify. Safety needs to be managed more by the heart than the head. It’s more than just logical thinking – it’s about caring for those in the workplace, and care for the best results possible.